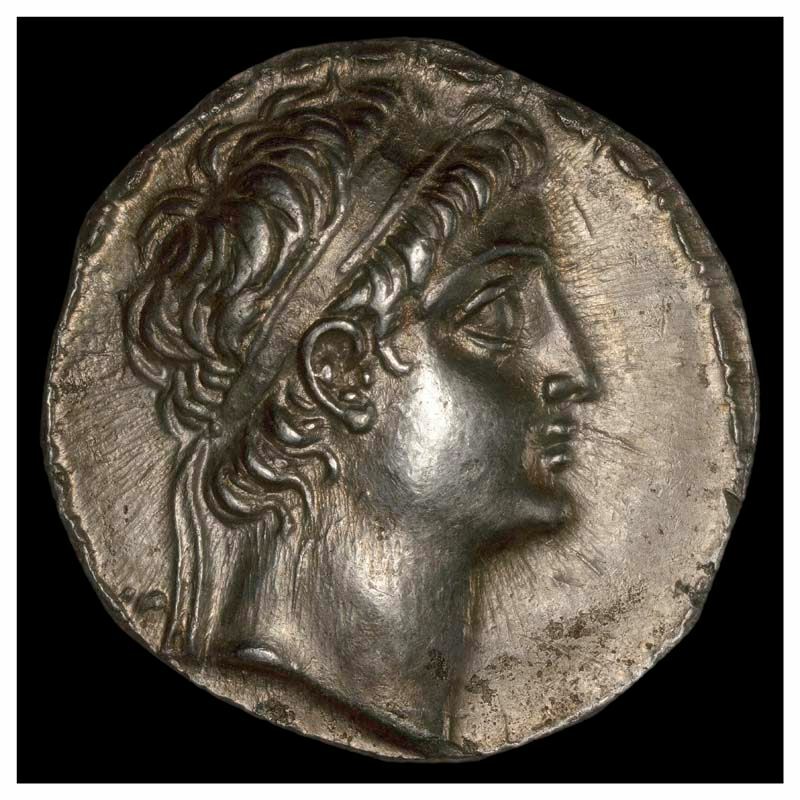 Demetrius II was one of the sons of Demetrius I Soter, brother of Antiochus VII Sidetes, and ruled the Seleucid Empire for two periods, separated by a number of years of captivity in Parthia. In 147 BC, he overthrew Alexander I Balas and regained his fathers throne. However, Demetrius was not a popular king. The people of Syria had little respect for the young boy, who had come to power with the help of Egypt and Cretan mercenaries led by the ruthless Lasthenes. In 139 BC, Demetrius was taken prisoner by MIthradates I of Parthia, and was held i captivity for 10 years. When he was released, the Seleucid Empire was only a shadow of it's former glory. He would rule the remains of an empire for 3 years, before being defeated by yet another usurper - Alexander II Zabinas.